Music is an important part of the human race. Each individual has his/her own genre they prefer. Music can help heal a broken heart, discharge stress and to relax while going to sleep. Often times music’s lyrics can hold a very powerful message. That is my goal with this essay to write about the song, “how to save a life” (The Fray, 2005). By using personal and clinical information, I hope to inform the mental health professionals about how to save a life when a client is thinking about suicide and what it means to get help from a mental health professional. This paper is written from the view point of a clinician and a patient who is engaged in therapy. Jobes, Moore, and O’Connor (2007) have stated that assessing a patient’s suicide risk at each medical office visit as collecting vital signs. Quinnett (1987) has stated that there is only a ten minute window of when a person thinking of suicide will actually go through with it. It is extending those minutes that is an important step to prevent a suicide. Sometimes there are signs indicating suicidal thinking such as, giving away of possessions, saying things will be better if I just “go away”. Sometimes these signs are not so subtle. In the wake of a completed suicide, one often wonders, “what they could have done differently”. The rock band, The Fray, has written a song called, “how to save a life”(Slade, 2005). I would like to express in this essay, how important these lyrics are to help save a life, whether it is someone else’s or your own. These opening lines talk about the initial conversation when the person who is having suicidal thoughts is being confronted. This is a crucial conversation as it allows you to assess what the person is thinking and to let them know you are concerned. The lyrics could also be viewed as the initial consultation a clinician has with his or her client, whether it was initiated by a friend, significant other, or family member. Family and/or friends are hoping that this person, who means so much to them, can open up to this person (therapist, minister, or counselor) to get the help that they (friend or family member) cannot offer or give. This is not to say that the friend or family has rejected the individual in his or her distress. The distressed individual may just need an unbiased, neutral person to talk openly about how they are feeling and what has brought them to the verge of suicide. Life for this person at this point is bleak, hopeless and unworthiness has invaded their soul. The individual feels he or she cannot confide in others. He or she feel they are a burden to friends and family members and have begun to shut himself off from those that love them. He sees only one option left to them: suicide. This is very dangerous thinking. The four letter word “only” is very significant and carries a lot of weight. Dr. Edwin Shneidman spent his career in working in the field of suicidality and forming the foundation for suicidologists in the United States. According to him, this word is the most “dangerous” word to be spoken by a suicidal person (E. Shneidman, 1985). As long as there is human life, the threat of suicide is always going to be an issue. It is an indiscriminate symptom of mental illness, such as bipolar depression, major depression or schizophrenia. Some times suicide is not related to mental illness at all. It could be a response to a crisis that seems to have no end. Whatever the reason, “suicide will be a permanent solution to a temporary problem” (Quinnett, 1987). Some experts will say that suicide is preventable, others believe that it is treatable. I say that it is manageable. When suicide becomes the only option, the question becomes what to do with this suicidal thinking: if the individual reaches out, they may go to a friend or family member for help or suffer along and pray his distress will end. Most clinicians do not know much about suicide. Each clinician has their way of dealing with it or perhaps, not dealing with it at all. Some will refer their client to another clinician the moment suicidal thinking is mentioned. Most almost always use what is known as a safety contract: essentially an agreement, written, verbal, or both, saying that the client will not harm or kill himself or herself in any way until the next session with the therapist. If the client does not agree to this, the option is that the client will be hospitalized, often against involuntarily. If the clinician fails to hospitalize a client that is in danger of hurting themselves and the client dies, the clinician is subject to malpractice and potentially the loss of the licensure. In Rudd’s article (2006) 41% of clients under contract died by suicide or made a serious suicide attempt. These contracts have no legal standing but are used from a medicolegal point of view. To ensure the liability of the clinician, the client is placed in the hospital. In my opinion, this is the clinician’s get of jail free card and the jail term of the client. The lyrics: “Let him know that you know best/Cause after all you do know best” best describe this situation. Is there a better way of dealing with this small yet extremely vulnerable population? There are structured treatment plans for patients at risk for suicide, but the knowledge of this across all mental health professionals is limited. It takes a mediocre trained clinician to have the courage to want to treat the client’s plea for help and to stick with that person through this difficult time. There are two clinicians who have revolutionized the understanding of suicidal thinking and behaviors. Dr. Ronald Holden at the Queen’s University in Canada and Dr. David Jobes at the Catholic University of America in Washington, D.C., have two forms that are easy to use and are not time consuming. These forms, the psychache scale (Holden, Mehta, Cunningham, & McLeod, 2001) and the Suicide Status Form (SSF;David A. Jobes, 2006) can be used in the first fifteen minutes of a session to assess the client’s mental health status. Dr. Holden’s psychache scale is a thirteen question self report of items based upon Shneidman’s book, Suicide as Psychache (1993). Psychache is defined as despair, anguish, hopelessness, psychological pain one feels. Each items are ranked on a 5 point scale ranging from either never to always or from strongly disagree to strongly agree (Holden, et al., 2001). Scores are from thirteen to sixty-five. Sometimes in my own suicidal thinking I had wished “someone would have stayed up with” me all night. Just to have the reassurance that you are not alone and that someone cares that much, helps to diffuse the feelings of hopelessness and helplessness that the depression and weight of the world is bringing. It also helps to know that this difficulty will pass and the individual will get through this. It also helps to know that difficulties will pass and the individual will be able to move on. It is crucial that the individual knows this for tomorrow does not exist and the important thing is to get through today. In Shneidman’s classic work, ¬Definition of Suicide, he states that “suicide should not be attempted while feeling suicidal” (1985, p. 139). The reason for this is because the thinking of the mind is focused solely like a never ending black tunnel. The constriction is so great; all you can think about is death and cessation. Time for them is in a warp full of pain and despair; there is no tomorrow. Their thinking is solely focused on what they need to do to ease their pain no matter what. Constriction is defined by Shneidman as the “honing in, the tightening down of the diaphragm of the mind. There is dichotomous thinking, a fixation on a single pain-free solution or death. Choices seem limited to two or one” (Shneidman, 1999). Sometimes during this constriction, you are so overwhelmed by all that needs to be done you don’t know what to tackle first. This might be tasks at work, school, or just in general. Lists become an important tool that can help to prevent suicidal behavior. Dr. David Jobes at Catholic University created and designed a well focused, detailed, user-friendly form, called the Suicide Status Form (SSF, 2006). This form has three essential components that are initial, tracking, and outcome forms. Each section that both the client and clinician fill out to focus on the treatment plans, mental status at each office visit, treatment plan that the patient and clinician agrees to, and other relevant clinical material such as axis diagnoses for proper documentation. It essentially creates a written plan on getting better. The SSF is a very carefully made tool that clinicians can use to know how much pain, hopelessness, and likelihood the client may act on their feelings. This form is the best tool to know where the client is in their thought process because it clearly documents the distress they are feeling. The SSF also provides the client with a voice in their treatment rather than to have it dictated as the clinician seems fit, because after all “you do know best”. The client will feel more centered and relieved that someone is taking the time to listen to what is going on and work with them on what will work and what will not. According to Dr. Shneidman, “there are many pointless deaths, but never a needless suicide” (1995). Over his career, he has stated that the main element of suicide and suicidal thinking are frustrated needs. These are the “list of things that are wrong, things you’ve told him all along”. In Shneidman’s Psychological pain assessment scale (1999), he lists twenty needs he feels are essential to the frustration one brings to think about suicide as an escape (for more detailed use of the scale, please see article). These needs are an adaptation of Henry Murray’s work, Explorations in Personality (1938). The key to helping any suicidal person is to listen to what the person is saying. That is the most essential piece that any clinician can do. Jobes (2008) found in his clinical use of SSF’s one thing that was the level of the perturbation and stress involved with suicidal thinking as major correlate for suicidal behavior. This might be that pain becomes so jaded the person just doesn’t feel it and all they are left feeling is the urge to do something in the moment to relieve the pressure that is building up. Learning new coping strategies may not be easy and some will work; others will not. In formulating this, it is up to the clinician to either “drive until you lose the road (client) or break with the ones you follow” (stick with what you know or try something different). O’Carroll (1996) did a survey of current assessments of suicide and found that not all clinicians (social workers, psychiatrists, psychologists, counselors) have the right definition of what it means to be suicidal. Each profession had their own beliefs and thoughts about what it means to be suicidal and propose a treatment for it. For a select few, some therapists even transferred the client to another clinician because of various reasons (David A. Jobes, 1995; David A. Jobes & Berman, 1993; David A. Jobes, Wong, Conrad, Drozd, & Neal-Walden, 2005; Joiner, Rudd, & Rajab, 1999; Joiner, Walker, Rudd, & Jobes, 1999; Meichenbaum, 2005; Michel, et al., 2002; Ramsay & Newman, 2005). There is also David Rudd, et al (2006) Commitment to Treatment Statement (CTS). This is a formal written and verbal agreement, on paper, that the client is committing to live and as such, has decided to put suicide on hold to try and see if therapy can help achieve the goal of living rather than of dying. It is a novel way of thinking and is much better than the expense of the hospital (even though it might happen anyway) and the loss of life. No one is an expert on suicide. There are predictive models that show the likelihood of risk factors that might cause a person to attempt. But these factors do not apply to everyone in the human race. Each suicide attempt or gesture is unique to that individual. There may be warning signs that go unnoticed until after an attempt or completed suicide. Psychological autopsies are valuable but they are too late to do much good to someone who is already dead. Their pain is no longer felt by them, just to those that knew them. You cannot save someone once they are dead. Nor can you learn much about the why and how they chose death to end their pain. As Dr. Shneidman points out, the best source of understanding suicide is through the “words of the suicidal person” (1996, p. 6). In summary, these tools can be used in clinical practice. I know that most of these are not empirically based as of yet but does it matter to the client who is thinking these thoughts, is hurting so bad to want to end their life not to give it a try? You can “drive the until you lose the road, or break with the ones you follow”. Holden, R. R., Mehta, K., Cunningham, E., & McLeod, L. D. (2001). Development and preliminary validation of a scale of psychache. Canadian Journal of Behavioural Science, 33(4), 224-232. Jobes, D. A. (1995). The challenge and the promise of clinical suicidology. Suicide and Life-Threatening Behavior, 25(4), 437-449. Jobes, D. A. (2008). CAMs workshop (lecture 41st American Association of Suicidology annual conference ed.). Jobes, D. A., Wong, S. A., Conrad, A. K., Drozd, J. F., & Neal-Walden, T. (2005). The collaborative assessment and management of suicidality versus treatment as usual: A retrospective study with suicidal outpatients. Suicide and Life-Threatening Behavior, 35(5), 483-497. Joiner, T. E., Rudd, M. D., & Rajab, M. H. (1999). Agreement Between Self-and Clinician-Rated Suicidal Symptoms in a Clinical Sample of Young Adults: Explaining Discrepancies. Journal of Counseling and Clinical Psychology, 67(2), 171-176. Joiner, T. E., Walker, R. L., Rudd, M. D., & Jobes, D. A. (1999). Scientizing and Routinizing the Assessment of Suicidality in Outpatient Practice. Professional Psychology: Research and Practice, 30(5), 447-453. Meichenbaum, D. (2005). 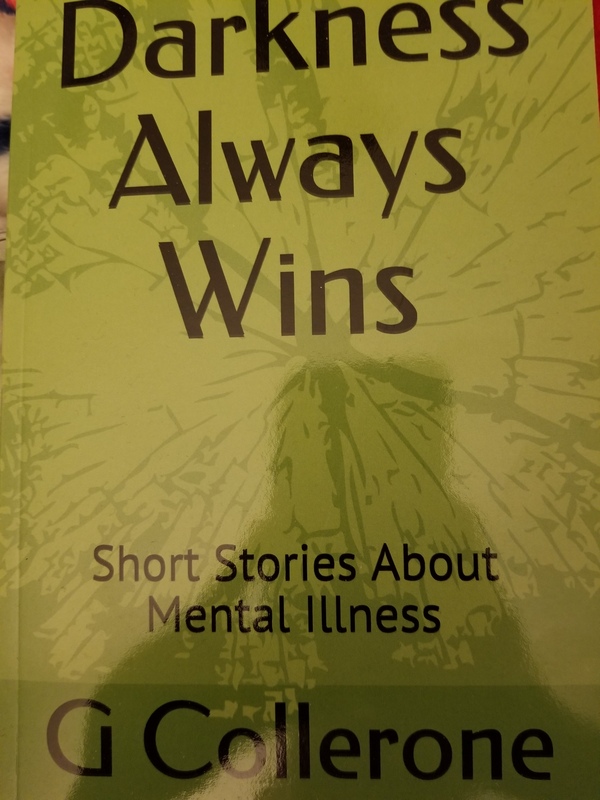 35 Years of Working with suicidal Patients: Lessons Learned. Canadian Psychology, 46(2), 64-72. Michel, K., Maltsberger, J. T., Jobes, D. A., Orbach, I., Stadler, K., Dey, P., et al. (2002). Discovering the Truth in Attempted Suicide. American Journal of Psychotherapy, 56(3), 424-437. O’Carroll, P. W., Berman, A. L., Maris, R. W., Moscicki, E. K., Tanney, B. L., & Silverman, M. M. (1996). Beyond the Tower of Babel: A Nomenclature for Suicidology. Suicide and Life-Threatening Behavior, 26(3), 237-252. Quinnett, P. G. (1987). Suicide: The forever decision. New York, NY: Continuum. Ramsay, J. R., & Newman, C. F. (2005). After the Attempt: Maintaining the Therapeutic Alliance Following a Patient’s Suicide Attempt. Suicide and Life-Threatening Behavior, 35(4), 413-424. Shneidman, E. (1985). Definition of Suicide (softcover ed.). Lanham, Maryland: Rowman & Littlefield Publishers, Inc.
Shneidman, E. (1995). Definition of Suicide: Jason Aronson. Shneidman, E. S. (1985). Definition of Suicide: Aronson. Shneidman, E. S. (1996). 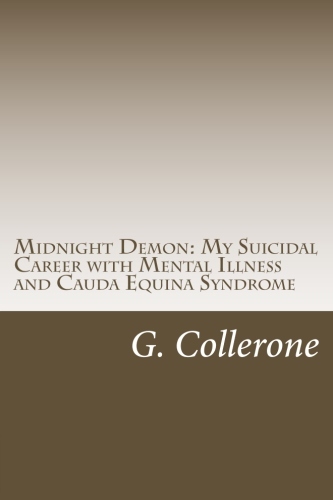 The Suicidal Mind: Oxford University Press. Shneidman, E. S. (1999). The Psychological Pain Assessment Scale. Suicide and Life-Threatening Behavior, 29(4), 287-294. Always loved the song never understood the meaning until now thank you. This song is really amazing, and I would respond to this post when I am free cause this song inspired me as much as how it inspires the writer of this post. Cheers! Thank for the re-share on twitter and suggesting me directly. I too am a fan of the health properties of music. This reminds of an adolescent day treatment program I used to work for. The Recreation Therapist did a group and had the students pick a song that was meaningful to them. They broke down the lyrics and found further meaning to others. Really powerful stuff. I admire your work , thanks for all the great content . This is the kind of place I wish to see! Smartly written, it’s great! Although I really like this post, I believe there was an spelling error close to the end of your third section. I only wished to appreciate you once more. I don’t know the issues I could possibly have taken care of within the absence of these elements discussed by you regarding that location. Completely was the depressing condition in my position, but seeing a brand new specialized method you solved it created me to leap for delight. I’m grateful for the perform and even hope that you recognize what a powerful job your are putting in teaching men and women currently through a internet internet site. Likely you have in no way got to know all of us. Wonderful content material, precisely what I want! I stumbled upon your site after a long analysis within the subject, but additionally the favorable content is required to get! Well done! I simply want to mention I’m very new to blogs and certainly savored your website. Very likely I’m want to bookmark your blog . You amazingly come with amazing writings. Thanks a lot for revealing your website. I just want to tell you that I am just all new to blogs and definitely savored this blog. Likely I’m going to bookmark your site . You actually have remarkable articles. Thank you for sharing with us your blog site. I just want to say I am all new to blogging and truly savored your web page. More than likely I’m planning to bookmark your website . You amazingly come with very good articles and reviews. Thank you for revealing your webpage. I simply want to tell you that I am beginner to blogs and truly loved your blog site. Most likely I’m likely to bookmark your site . You really have great writings. With thanks for revealing your webpage. I simply want to mention I’m new to blogs and certainly loved you’re page. Probably I’m planning to bookmark your site . You surely have good stories. Thank you for sharing with us your website.